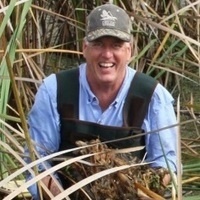 Managing Stressors, Nutrients, and Edges to Improve Coastal Wetland Restoration by John Andrew Nyman, Ph.D.
Thursday, January 18, 3:30 p.m. This talk will introduce wetland restoration in coastal Louisiana, where an area the size of Delaware has converted from emergent vegetation to shallow water since the 1930s. It will also describe recent research exploring how stressed vegetation responds to nutrient inputs and how fish and wildlife use different types of edges, which consists of the boundary between emergent vegetation and shallow water. Such information might improve restoration efficiency by guiding how water from the Mississippi River is allowed to flow through wetlands into the Gulf of Mexico and by guiding how dredged sediments are used to create new coastal wetlands across the salinity gradient. John Andrew Nyman is a professor in the School of Renewable Natural Resources at Louisiana State University. He has worked with wildlife managers and wetland restoration agencies for over 25 years and has coauthored over 70 peer-reviewed publications. The most-cited address wetland loss, oil spills, or marsh vertical accretion, which allows coastal wetlands to offset some subsidence and/or sea level rise. This lecture is coordinated by FAU's Harbor Branch Pillar. Please contact Jacqueline Brayboy for more information.